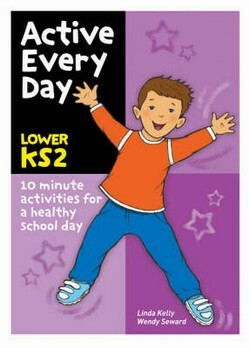 A series of three books, arranged by key stage (KS 1, Lower KS2, Upper KS2), to help primary teachers to encourage children to engage in daily physical activity and to keep active throughout the school day. A ten minute activity per page gives teachers easy-to-implement ideas for getting pupils moving. Each A4 page contains everything the teacher needs to carry out an activity including instructions and diagrams and information on curriculum links and extension ideas. Equipment needed is kept to a minimum and children do not need to change into PE kit to take part. Includes calming activities; energising games; exercises to improve coordination, teamwork and stamina; action rhymes and skipping games.